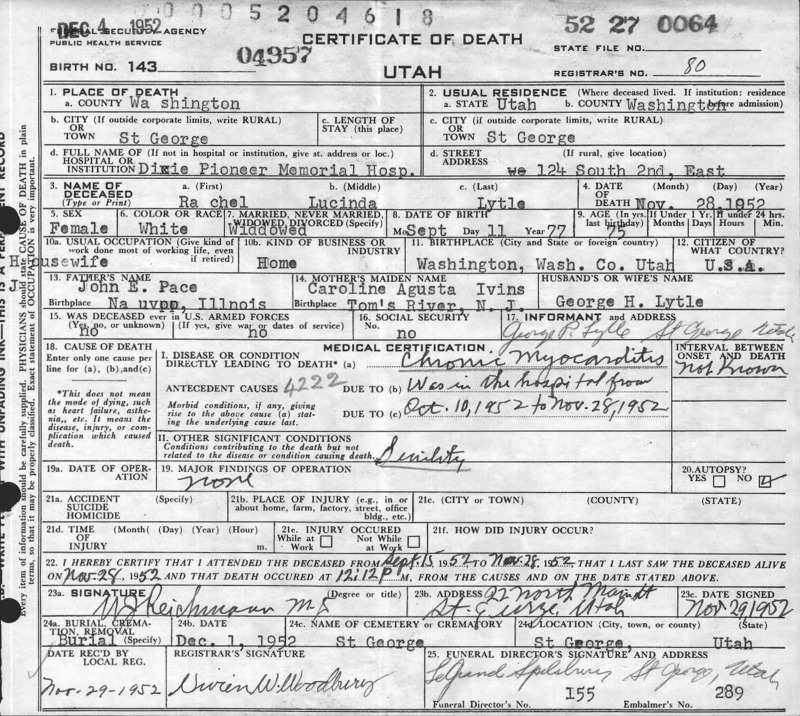 George Hubbard Lytle was born in St. George on November 19. 1870. 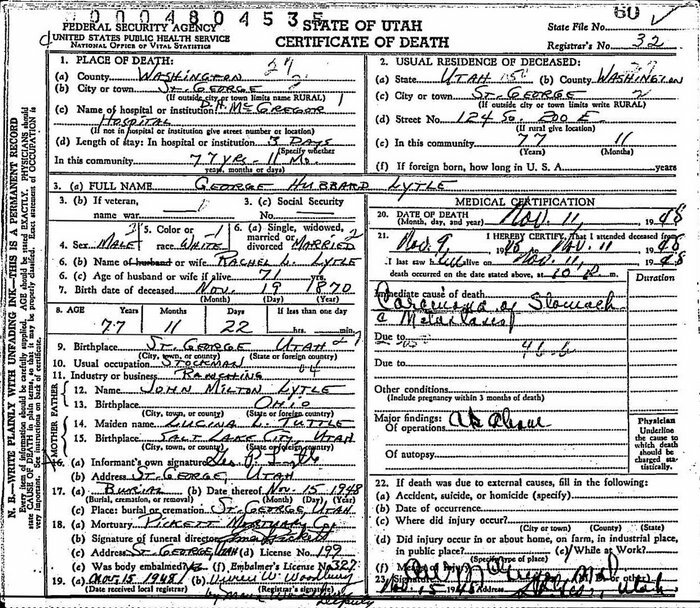 Rachel Lucinda Pace was born in St. George on September 11, 1877.